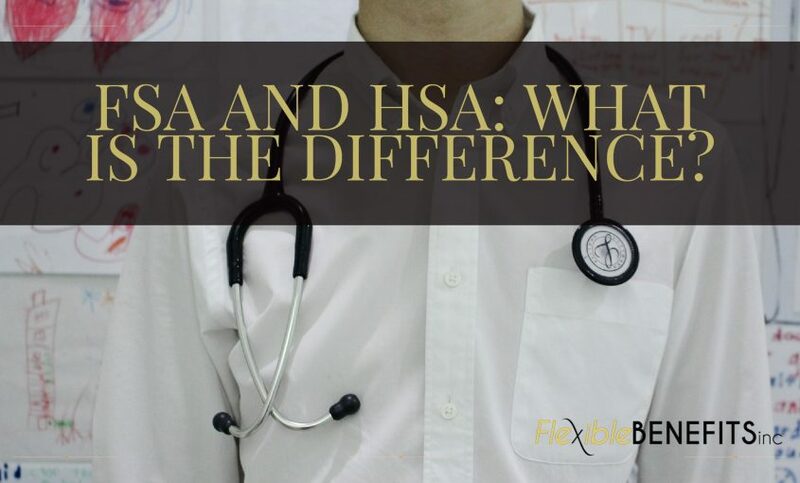 FSA AND HSA: WHAT IS THE DIFFERENCE? – Flexible Benefits Inc.
FSA AND HSA: WHAT IS THE DIFFERENCE? Home » Blog » FSA AND HSA: WHAT IS THE DIFFERENCE? Both the Flexible Spending Account (FSA) and the Health Savings Account (HSA) are designed to help us save for medical expenses. These funds come out of your paycheck pre-tax and can be used for you and your dependents as needed for eligible out-of-pocket expenses. FSA means that it is considered a “spending” account, with the intent of the account to simply fund the expenses of the family. Covering expenses such as IRS-approved hearing, prescription drugs, medical, vision, dental for participant and dependents. Money deposited into a FSA is tax-free at the time of deposit. There are three options for dealing with any unused funds of a FSA plan which are chosen by the employer. FSA’s allow certain Over the Counter drug purchases without a prescription. When the end of the year rolls around, you may be looking for ways to spend you FSA money. You can find the complete list at fsastore.com/FSA-Eligibility-List.aspx. FSA’s allow the money to also be used for child care as well as adult care. Some FSA’s are health FSA’s while others are considered dependent care FSA’s. These allow costs incurred for the care of dependents, while the parent or guardian is at work, to be covered with the funds in the FSA. Example of this would be daycare, nursey school, summer day camp, adult day camp, before and after school care, and preschool. There are some FSA’s which also sponsor adoption. HSA’s are used only for medical expenses. HSA means that is a health “savings” account for the purpose of paying medical expenses of the family. Covering expenses such as IRS-approved hearing, prescription drugs, medical, vision, dental for participant and dependents as well as premiums for COBRA, long term care, and Medicare Parts A and B for participant and dependents. Money deposited into a HSA is tax-free at the time of deposit, withdrawal of funds for qualified purchases, as well as, the interest on all unused funds. Giving it a ‘triple tax advantage’. HSA’s permit the rollover of funds from one year to the next. This means that it is considered a “savings” account, and if the money isn’t used, it simply accrues until needed. Since HSA’s roll the money over if it isn’t used, it can accrue for a long time. When you turn 65 years of age, you can actually roll that money over into an IRA, or in some cases, even cash them out. These accounts may be used to cover expenses such as doctor payments, insurance premiums, long-term-care insurance, prescription drugs and insulin, devices needed for quality of life such as walkers, crutches, hearing aids, glasses, or wheelchairs, as well as travel expenses to get to doctors and specialists. Using these accounts has become easier with new Point of Sale eligibility lists, which will deny the purchase of an item that is on a do not purchase list. There are rules of receipt submission in order to substantiate the purchases made. As we approach the open enrollment season and you would like to learn more about obtaining a Flexible Spending Account or a Health Savings Account for your employees, please give us a call today at Flexible Benefits Inc. We shape benefits packages that are right for each employer. Contact us at (251) 237-1115 or toll-free at 1-888-821-9007.